Murano provides an application catalog service that enables end users to easily deploy applications. Internally, Murano uses the Heat orchestration service to manage the application resources. Administrators can use Heat Orchestration Templates to create application packages and import them into Murano. Murano packages, environments and applications are the key concepts of Murano. These key concepts have been explained below. A Murano package consists of the following three parts. A Murano environment is a container for applications. This can be used to logically separate sets of apps. A Murano application is a deployed package. It will be part of a Murano environment and have an associated Heat stack. Follow the steps given below to create a new Murano application. The template will start with a version that corresponds to an OpenStack release. Next comes the application description. freely-available source code implementation of an HTTP (Web) server. The application may accept parameters that the user will specify when deploying. If a default is specified for a parameter, a placeholder will be shown to the end user when deploying the package from the UI. Now we will define the application resources. To keep the template short, the installation script will assume the apt-get command is available on the instance. Putting it all together gives us the following template. Click Create New Application from the Applications view. Select the Components option, and the Text option. Enter (or paste) the template contents into the text area. Optionally, upload a logo. Then, click Upload Application. Optionally, edit the application metadata, and click Update Application. Select the Components option, and the Text option. Upload the template. Optionally, edit the metadata and click Update Application. First, create the Zip package using the Murano CLI. The –logo argument is optional. Select the Zip option. Upload the Zip file. Then, click Upload Application. Then, upload the Zip package. Follow the steps given below, to deploy an application from the Murano application catalog. Since a Murano application needs to be in an environment, the 1 Click Deploy button can be used to create and environment and add an application to it. After clicking on 1 Click Deploy, fill out the form and click Add to Environment. This will create an Environment with the same name as the application. The environment should soon be in the ready state as shown below. Standalone environments can also be created, and applications can be added or removed as needed. To create one, click Create New Environment. Specify a name and click Create Environment. Now we are ready to add applications to the environment. Click Add New Application as shown below. Select the application to add, and click Next. After filling out the form, click Add to Environment. The environment should soon be in the ready state as shown below. Individual apps can also be removed by clicking on the trash icon on the application as shown below. To install the Murano CLI, see the support article on Installing the OpenStack Clients. First, create an environment. Now, create a session for the environment using the environment id from above. In order to add an app to the environment, a JSON patch file that describes changes to the environment will be used. The following template shows the JSON patch structure for adding the application. List the packages in order to find the package FQN, which is a unique identifier for a package. After locating the package to deploy, replace the Package FQN in the JSON patch template. Also, specify an application name and set the templateParameters, which were defined in the Heat template for the package. 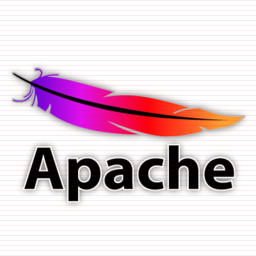 Assuming the JSON patch file is named apache.json, use the environment and session ids from above to modify the environment. To apply the changes, the environment needs to be deployed. The environment should soon be in the ready state. To verify the stack state, use the generatedHeatStackName property from above.